Are you completely frustrated keeping up with your old car, spending money on its repairs or is your used car just acquiring a parking place in your garage? Whatever the problem you are facing right now, there is always an option to sell your used car and did you know you can get an instant cash for your used car in Rockingham. Well, if this comes as news to you, wake up already! Now you can say goodbye to the hassles of selling your old and worn out cars to reluctant and nitpicking buyers for an amount that doesn’t do justice to your vehicle. More, you have not to go through expensive repairs and extensive advertising and promotion for an old and used car. With us, selling an unwanted car has become much easier as compared to other car wreckers in Rockingham. Our team of professionals is highly specialized in getting rid of used, unwanted, scrap and wrecked car removal and offer cash for your unwanted vehicle in return. There is no need to worry about your scrap car once you make your mind to work with us in Rockingham, Perth WA and more cities in Australia. 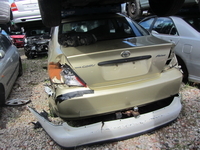 You don’t need to pay top dollar in the process of selling your accidental or junked vehicle. Don’t you hate it when you have to wait for the right offer on your used and wrecked car to come along? You’ve already priced your beloved but used an old car very low and then when someone bargains with you upon it to lower it further, it just frustrates you even more! Don’t even think of hiring an agent to sell off your used car. You don’t want to pay any part of whatever you’re getting as an offer to them. Just Guaranteed Sale And That Too Within The Same Day! Yes, the most reputed cash for cars companies are making it easy for people in Rockingham to sell their old cars and get a very handsome amount in return. You don’t have to do any of the things listed above to get a good offer on your wrecked car in Perth wide. All you have to do is just call the expert and you’re sorted. Just fill them in on the details of your automobile and they will either come up with a quote right on the spot or if need be, they will ask to visit the premises at your convenience. They will assess the vehicle, offer you a quote and pay cash for cars as per your need. The moment you accept their offer they will tow the vehicle out of your property for free. You will be compensated generously in return. Simple! One of the biggest advantages of choosing our professional unwanted car removal service is that we do not charge any additional fees and come to your desired location for collecting the scrap vehicle. Our car wrecking services are totally free of cost. We are the potential buyers who offer top cash offer in your hand on the spot for your broken Toyota Nissan in any condition. Aside from providing free car removals, our wrecking yards are also advanced. Our Rockingham auto recyclers always remain updated with the latest technology and allow you get the maximum value from the unwanted vehicles. If you’re still not sure, you can contact us at ‭0434 056 373‬ for an instant quote and they will remove all your doubts right away. We deal in car collection of all brands, makes, and models. So call now!